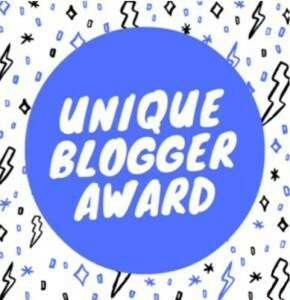 I’ve been nominated for the Unique Blogger award. I was happy to receive this nomination because it’s from someone who’s been commenting on my story more and more recently, and I feel like they get my story and characters. Answer the questions the person has asked you. Ask the people you have nominated questions. Pretty simple, right? Thanks SKCAGA6!! Soap operas and the behavior of the Sims in the game. I grew up watching All My Children, and I love Grey’s Anatomy. Those soapy dramatic over-the-top storylines always got me. Before I started writing this story, I played a legacy challenge, so the idea of following a family through multiple generations, seeing them interact with other families in their world, and writing fun stories about it really drew me in. I’ve always added funny drama overlayed onto the Sims’ interactions, now I’m just finally writing it down. Who is the one character you have created that feels the most like you personally? Oh wow, I don’t know. The characters that I write the most invariably get a bit of me in them, but none of the characters are based on me or particularly a lot like me. If I had to pick one, I guess it would be Daniella. She has a complicated relationship with her brother, and she ends up taking care of everyone around her in the best way she can. She’s smart and the people around her know it, thought they don’t always pay attention to her knowledge. There is one major difference though, she has a contentious relationship with her future mother-in-law Laurel, and I have a wonderful relationship with my mother-in-law. Has there been a character that has stuck with you to the point where saying good bye to them seemed impossible? Luckily I haven’t had to say goodbye to my characters yet. One of my families, the Ralstons, have two elders, Cristian and Kenya. I checked how many Sim days they have left, and I’m really not looking forward to their quickly approaching demise. Because I intend to play my neighborhood rotation in a legacy style (the inheritance being membership in the Counsel Council), I have to let my Sims age and die. But I’m not ready! How do you feel about other people using your characters in their own stories? I haven’t had any characters from this story go to someone else’s stories. Usually when I submit characters for other stories, it’s Sims I make in CAS. Maybe I should send one of them to be a part of a story one of these days! Okay, on to my nominations! I’m going to nominate the people from my reading circle! Well, all except Amanda who writes Ashes 2 Ashes and PNN because SKCAGA6 already nominated her! What made you start writing Simlit in general and you story in particular? If you could take all of your characters and drop them in a completely different genre of story, what would you choose? When you’re not doing Simlit, what is your favorite thing to do online? Have fun with those questions guys! Congratulations! I enjoyed your answers ! Thanks! I always have fun answering these things.